The ancient Roman Goddess Fortuna has been a very well known and popular Goddess since at least 640 B.C.E. The Goddess Fortuna has been an inspiration for women and children and a protectress for men, a provider of happiness and success in love, long-term relationships, career, and good health. From Her ancient origins, She thrived throughout the Common Era and continues Her presence in contemporary culture. As Rome expanded from a city to an empire throughout Italy, and into Europe, North Africa, the Middle East and Britain, so did Fortuna’s vast realm. She appears in architecture, artwork and inscriptions to the Goddess. Many temples were dedicated to Goddess Fortuna in ancient times and she took on different roles depending on the type of assistance requested by the petitioner. These roles are represented in names describing Her various aspects; many of which are found in ancient documents and inscriptions, and in the names of Her festivals. The Roman festivals of the Goddess Fortuna, as they have been handed down through the ages, are shown on the Calendar page of this website. The Goddess Fortuna also had regional celebrations and She was greatly honored as a protective Goddess at the fortified gates of cities throughout the ancient world. Inscriptions to Fortuna Salutaris and Balnearis grace health-bringing baths. The holiday of Fortuna Redux celebrates the safe coming-home of loved ones from overseas. Fortuna Virilis celebrations embody life-long love and attraction in marriage, and the oracle of Fortuna Primigenia is for newborn babies and mothers. Fortuna Privata assists and protects personal life in the home. The original strength of the Goddess Fortuna represented good fortune in the home and away from home, traditional family values, and equal opportunities for people from all walks of life. The Goddess Fortuna, in any of Her aspects, may have been petitioned privately, silently or discreetly when there was a need or desire to honor the good fortune of the divine feminine. Does anybody still believe in or pray to the Goddess Fortuna? Surprisingly, the answer just might be Yes! The Goddess Fortuna, who is also known as “Lady Luck”, may appear at any time in contemporary culture. 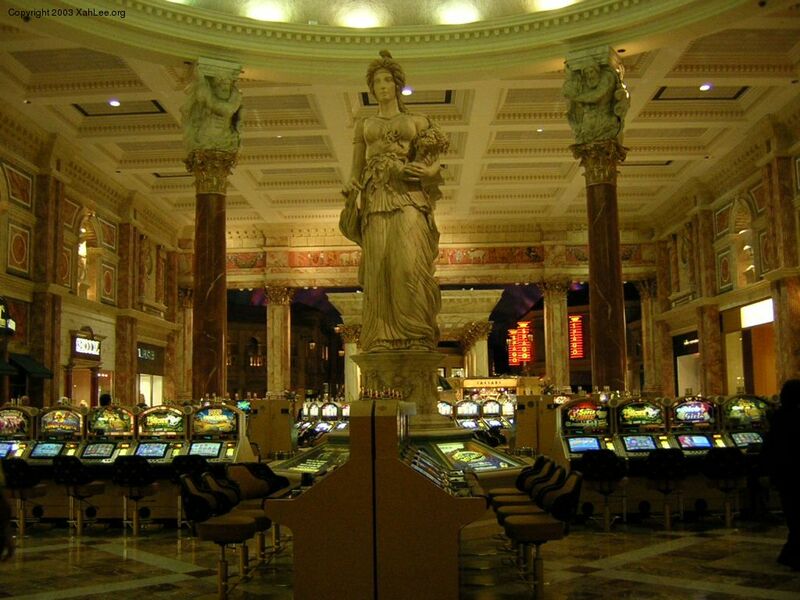 Her immortal mystique graces several Las Vegas gaming casinos in the USA as an inspiration of good fortune and, perhaps, actual fortune for casino players and guests. The Goddess Herself is perhaps best known now by Her symbol: the Wheel of Fortune. This symbolic wheel of fortune inspired a long-running USA television game show of the same name. Fortuna’s wheel, which was popularized during the Italian Renaissance in a card game called “trionfi”, continues to be an inspiration within the mystical Tarot cards. Fortuna’s affiliation with divination goes back thousands of years, when Her lottery, held for women and newborn babies at the grandest temple complex to Fortuna at Palestrina Italy, was nearly as famous as the Greek oracle of Apollo at Delphi. In ancient times, the Goddess Fortuna was recognized as the daughter of Jupiter and Juno of the Roman pantheon, and as the Oceanid Tyche, daughter of Titans Oceanus and Tethys, in the Hellenic pantheon. Fortuna became syncretized with a popular Egyptian Goddess as the Common Era arrived. Fortuna’s legacy continued to thrive in the artwork and religious instruction of middle ages, as a Goddess who turns the wheel of fate; the Rota Fortunae, which know as the wheel of fortune in contemporary culture. As both Fortuna and Tyche, She is honored in contemporary times as a Goddess of good luck and good fortune within many branches of the NeoPagan faith, including the Goddess Spirituality, Reconstructionist such as the Religio Romana, traditional Italian Stregheria, Wicca, eclectic and other paths practiced in our times in many countries around the globe. “Guardian Angel”, a traditional painting created in 1656 by Pietro da Cortona, image public domain via Wikipedia. The Goddess Fortuna may be recognized by Her cornucopia overflowing with harvest produce, and by Her a mural crown, which symbolizes the ramparts of a castle. Sometimes She sits regally on a throne, or appears as an angel with wings. According to Roman legend, She will remove Her wings and sandals when She wants to stay with people for awhile. Sometimes the Goddess Fortuna holds a wheel to show the turning of fate and fortune, a ships rudder, gently guiding our direction, or the reins of a horse She guides and whose companionship protects and defends. The Goddess Fortuna may sometimes appear blindfolded. Perhaps She hears our prayers, and sees our best solutions more clearly in the mind’s eye, without the distractions of the real world. The Goddess Fortuna, throughout the ages, has brought many people hope for all kinds of blessings of good fortune. It is our hope that these pictures and stories of the Goddess Fortuna will bring you inspiration, and a kind, gentle and meaningful image on which to focus for oracular guidance, honoring the divine feminine, or spiritual worship. This website includes stories, history, mythology, and photographs of architecture and art about the Goddess Fortuna gleaned from years of research, and originally inspired by many websites. Photographs on this website are the property of Temple of Fortuna dot com, adapted from the public domain, donated, or used with permission. Donated and public domain images may be enhanced with photo editing software provided by the website of LunaPic.